Employees arrived at the company’s lone plant in the industrial city of Valencia to find it closed with a letter posted on the door. “ Goodyear Venezuela has been forced to cease operations,” according to a copy seen by Bloomberg. 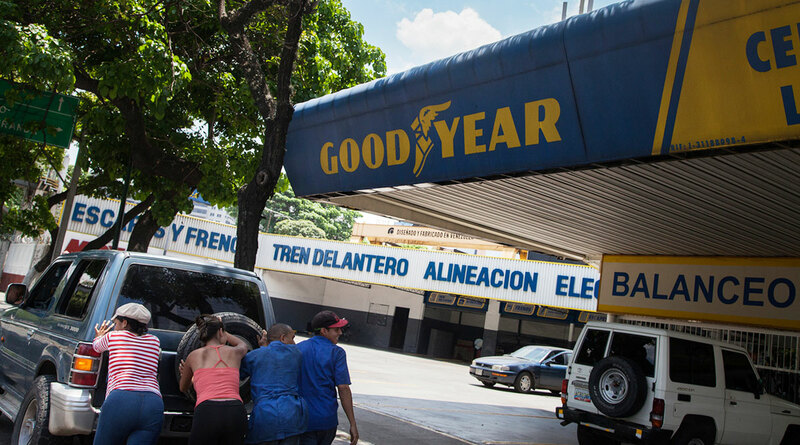 Eduar Bremo, a member of Goodyear’s factory-workers union, said that the company is paying severance packages to its more than 1,200 employees and giving each 10 tires, which are hugely valuable in shortage-wracked Venezuela. According to Bremo, the plant produced some 1,000 tires a day, but a lack of materials and soaring costs forced it to shut its doors. Calls and e-mails to Eduardo Arguelles, Goodyear’s spokesman for Latin America, requesting comment on the closing weren’t immediately returned. Reuters reported the closing earlier Dec. 10. Years of economic turmoil have made companies such as Kellogg Co. and Kimberly-Clark Corp. abandon Venezuela as hyperinflation renders most business conducted in local currency unsustainable. Other companies have slashed their work forces and limited their product offerings as they hold out for better days. Last week, Ford Motor Co. began offering its employees buyouts as it further scaled back its remaining Venezuela operations.